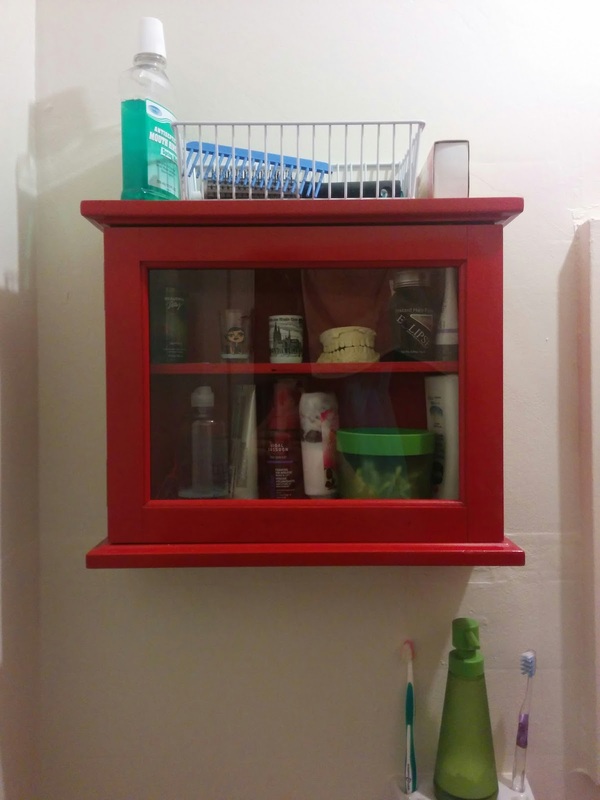 My girlfriend needed additional storage in her tiny bathroom, and due to the compact layout there wasn't enough room for an étagère over the commode. My Dad found a cool old cabinet at the transfer station (a place people drop things off for recycling or going to the dump). It was originally a special cabinet for holding various liquor decanters. As soon as I saw it I knew it would be a perfect piece for Karen's daily essentials. I don't have a before pic because after I mentioned it might be great painted red, Dad surprised me by taking the whole thing apart, sanding it, and giving it two good coats of spray paint. He even cut a piece of wood to add a shelf in the middle. He's so awesome that way. I added some Contact paper, reassembled it, and got it safely back to Ohio. Karen was thrilled and we hung it up right away. 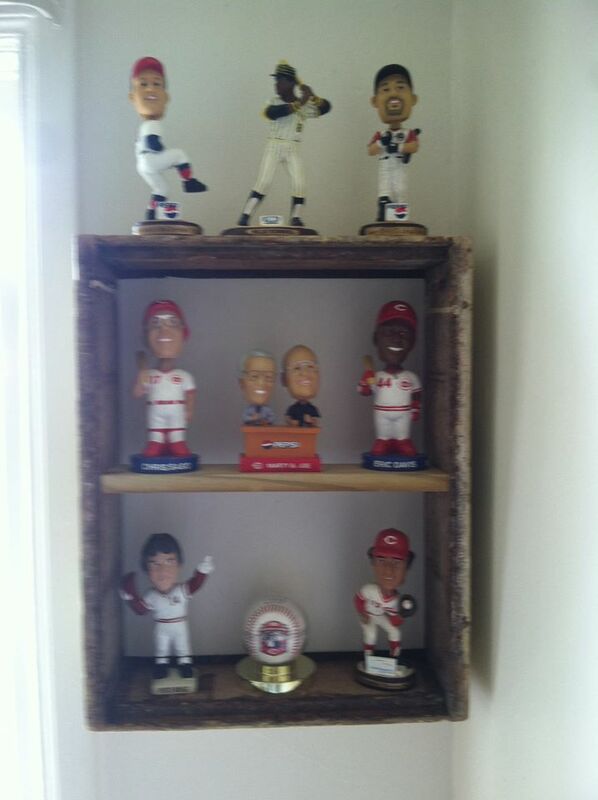 She also recently scored another one of Dad's finds, a shelf we made from an old beehive section that became the perfect home for her bobblehead collection. Can you tell she's a Reds fan? Little cabinets, shelves, and tables are my favorite home décor projects. They're so versatile and easy to make.